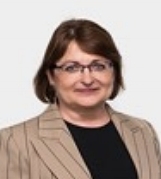 With over 35 years in the pharmaceutical and bioscience industries, Lusia Guthrie is an experienced executive and medtech entrepreneur, with strong leadership skills and international industry networks. She started her career as a Medical Laboratory Scientist before joining the Manufacturing Division of pharmaceutical company FH Faulding & Co where she attained the position of Director of Operations. Lusia then went on to co-found medical technology innovation company LBT Innovations Limited (ASX: LBT) where she served as Chief Executive Officer and Managing Director. She then served as Chair of LBT’s European joint venture company. Lusia has a passion and proven track record in bringing innovative products to global markets, embracing the entire process from company formation, capital raising and concept development to product launch and sales. She has particular experience and ongoing interest in the development and commercialization of new healthcare products that embrace automation, robotics, machine learning and artificial intelligence. Having recently completed her term as Chair, Clever Culture Systems AG, Lusia is pursuing non-executive directorship roles and is engaged in corporate advisory and mentoring. · Member Advisory Committee, Australian Institute for Machine Learning.